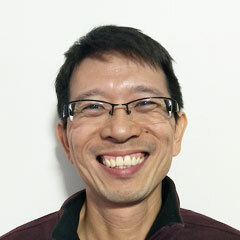 Designing a Sound Blaster Card was Boon Yong’s first task as a young electronic engineer at Creative Technology Ltd in Singapore, before he moved to Sydney and then to London. Along the way he’s skied (rather adventurously) in Austria, honeymooned with Lydia in the Canadian Rockies, studied in Sydney, worked in London, and has visited Neuschwanstein Castle—and knows how to spell it! Boon Yong brought his family from Singapore to Adelaide in 2017 and now is working to help people (especially Mandarin speakers) discover the good news about Jesus. He’s passionate about helping people to enjoy reading the Bible for themselves so that they can learn about God’s promises in Christ.